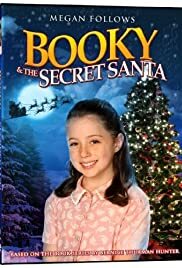 Booky does everything she can to make an enjoyable Christmas, for her family, during the depression as her father is out of work. Set in San Ernesto, California with only three days before Christmas, Nick Snowden needs to rescue a young reindeer from a zoo. A shop owner who is being evicted at Christmas rescues her Scrooge-like landlord from an accident. A cynical workaholic gets suspicious of her banker father's sudden departure from his career and city life to move to a small town with unusually strong ties to Christmas. A young girl who wants a mom for the Christmas holidays gets her wish when a department store mannequin comes to life. In this family film short, a nearly all marionette cast perform a dramatization of "The Night Before Christmas" and a performance of the Nativity.